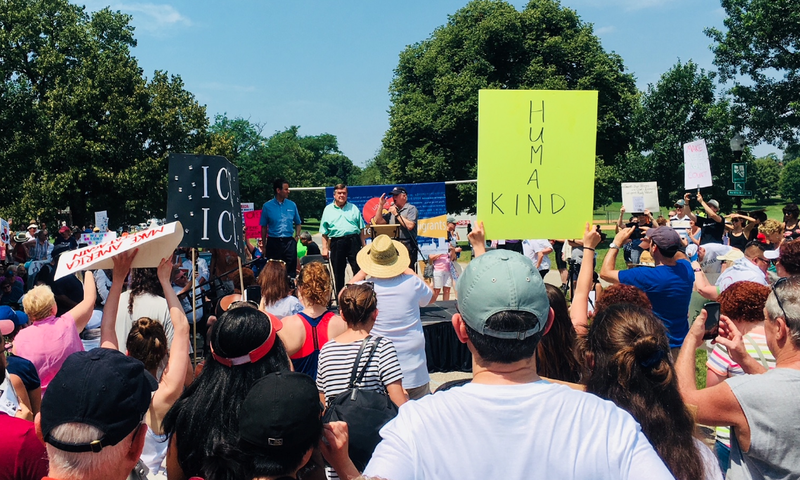 In solidarity with scheduled demonstrations in Washington, D.C. and more than 600 cities across the U.S., hundreds of Baltimoreans joined a “Keep Families Together” immigration rally in Patterson Park Saturday afternoon and called for the Trump Administration to reunite families that have been separated at the border. Hosted by Baltimore Women United in coalition with CASA, Indivisible Baltimore, the Council on American Islamic Relations, the ACLU, Teachers Defending Immigrant Families, Peoples Power Assembly, Jews United for Justice, and other local groups, more than 1,800 people registered to attend the demonstration, according to Lisa Oelfke, a Baltimore Women United organizer. Baltimore Women United was formed out of the January 21, 2017 Women’s March that followed the inauguration of President Donald Trump. 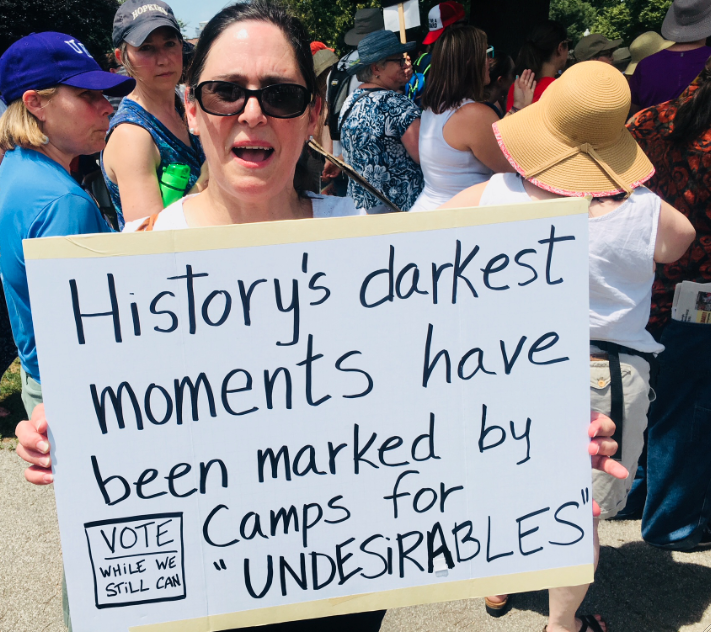 “There are a lot of women everywhere, including Baltimore, that were outraged by the family separations at the border—that was a tipping point,” said Oelfke, explaining the impetus for the rallies this weekend. “More broadly, it’s about the criminalization of immigration and Trump’s anti-immigration agenda, which includes changing the rules for seeking asylum and the Muslim travel ban. Oelfke added that many immigrant supporters from Baltimore had headed to Washington to participate in a rally at Lafayette Square, which was expected to draw 50,000 protestors. Although Trump signed an executive order reversing the administration’s family separation policy a week ago, CNN reported that only six children—of more than 2,000 in limbo—had been reunited with their parents six days after the executive order was signed. Ruppersberger and Sarbanes appealed to those in attendance to take their grievance, or grievances, to the polls in November. After the rally, demonstrators took to the outskirts of the park, lining Eastern Avenue with the signs and waving to passing motorists.